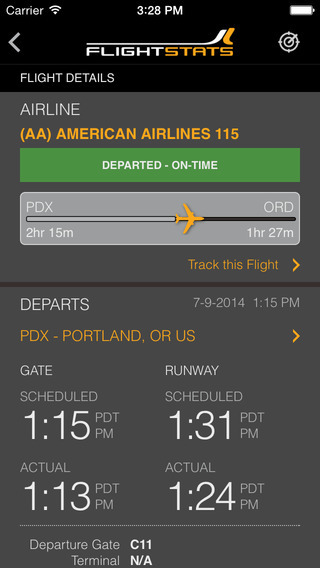 We checked 5 flight tracking apps for both Apple iOS and Google Android devices. These apps are useful to keep you informed about your upcoming flight. 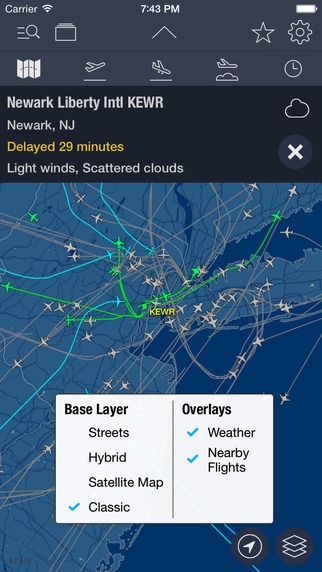 How does flight tracking app can help you? Read about the main features to find out. You can find how many hours is your flight, the model of the plane. 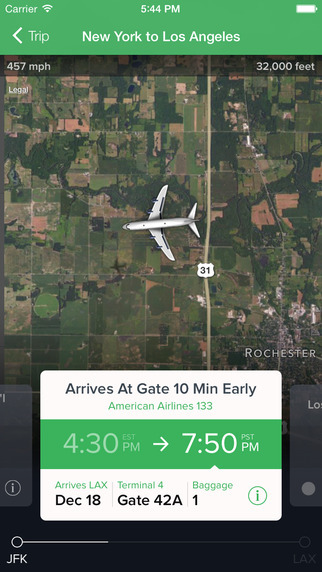 Some of the apps include terminal’s map and airline’s contact information. Use it as list of upcoming flights to easily access updated information when needed to inform others and make arrangement about your trip. Instead of looking for your flight information in your emails or boarding pass, simply enter the flight information to your app. You will only need your boarding pass when your actually taking your flight. 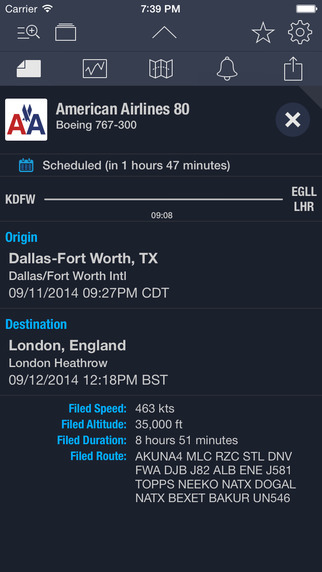 Check the status of a flight: on-time, en-route or landed. Find if your flight is delayed. Know if you can go to the airport a bit later instead of waiting there. Rarely, the information about a delay is not accurate and your flight may depart on time. it’s recommended to confirm the delay with the airline so you won’t miss your flight. Know what terminal and gate of your flight for both departure and arrival. This information is especially useful when flying out of a big airport with multiple terminals. 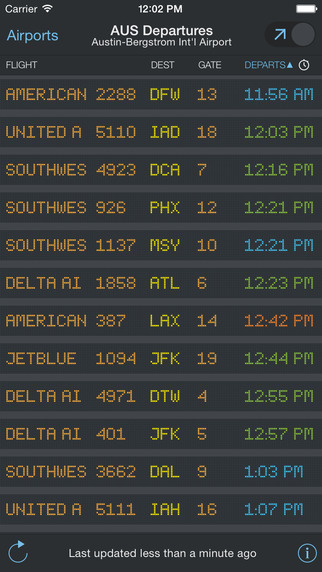 If you have a connecting flight, you will save time looking for a flight board and waiting for it to show the information about your next flight. You can also check the weather in your destination within the app. 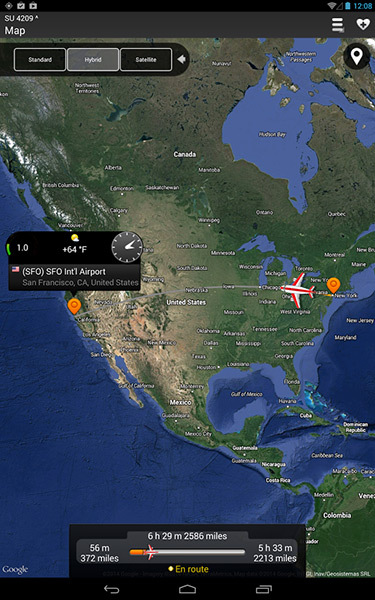 You can see your flight route on a map. 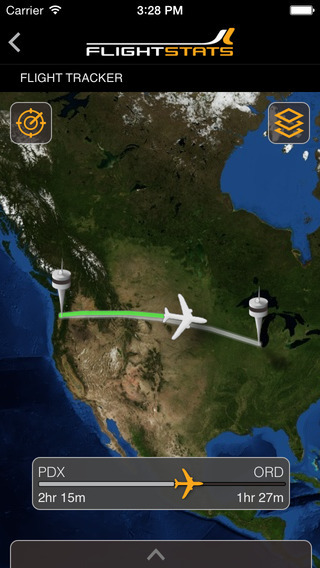 This is a nice feature to see the progress of the flight. 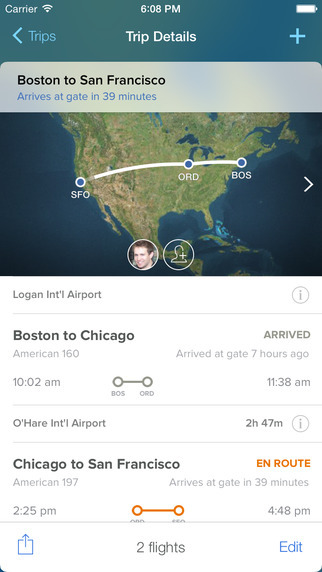 Some apps let you share your flight information by email, SMS, and other ways. It’s will save you time, reading and typing the information when you need to inform family member and friend about your flight. 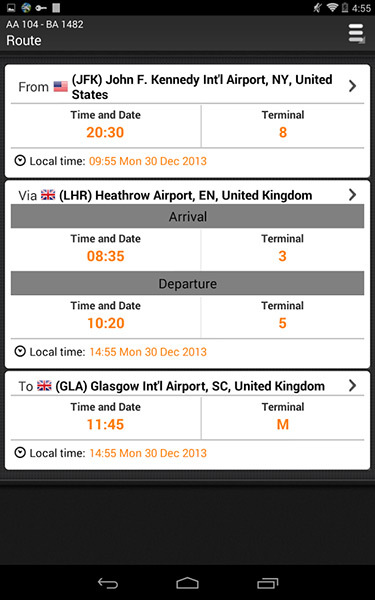 Features: Flight Details, Itinerary, Flight Status, Terminal & Gate Information, Flight Map, Easy Sharing. Price: Free Version Available / Pro Version $4.99 USD for iOS & Android. $1.49 USD for windows. Features: Flight Details, Itinerary, Flight Status, Terminal & Gate Information, Flight Map, Easy Sharing, Multi-Language Support. Features: Flight Details, Itinerary, Flight Status, Terminal Information (no terminal map), Flight Map, Easy Sharing, Multi-Language Support. 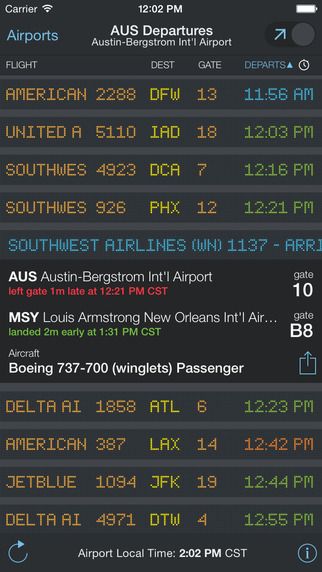 Features: Flight Status, Terminal & Gate Information (no terminal map), Easy Sharing. What is your favorite app? Comment below and share with others!